Allahu akbar! We need more like them. 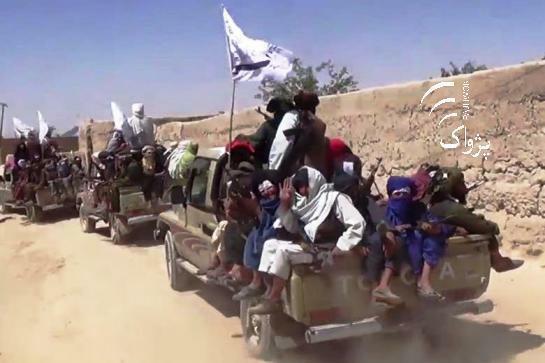 (MENAFN – Pajhwok Afghan News) KANDAHAR CITY (Pajhwok): At least 37 Taliban insurgents have been killed as a result of own car bombing in the Maroof district of southern Kandahar province, an official said on Saturday. Aziz Ahmad Aziz, the governor€™s spokesman, told Pajhwok Afghan News that the incident took place in Maroof district late on Friday night. He said the militants rigged a Humvee vehicle with explosives and wanted to target border police battalion in Atghar district of southern Zabul province. He added the explosives rigged Humvee vehicle went off and several rebels suffered casualties. Meanwhile, the Ministry of Defense, said 37 militants were killed and 15 motorcycles were also destroyed in the bombing.